The guy was creeping me out. Standing too close, elbow brushing mine. Leaning in to tell me stuff. We definitely weren’t. Two minutes ago, I had yelled my name over the music in response to him introducing himself. I was at the concert alone. I didn’t need a weird dude following me after the house lights went up and the musicians left the stage. So, I shut him down. With a tried-and-true bag of tricks deployed like a parachute to escape a strange situation. 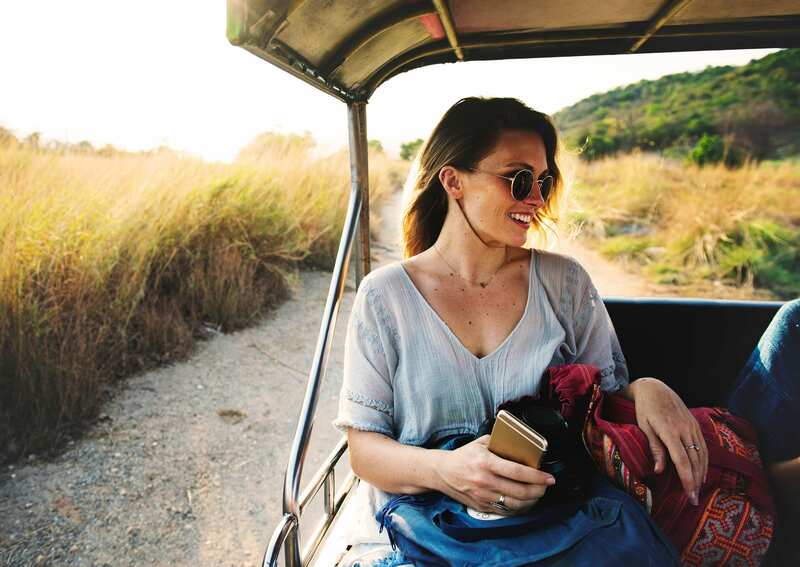 Like a lucky well-worn shirt or a favorite music playlist that you always pack, here are your eight travel safety tips for women. Don’t leave home without them. 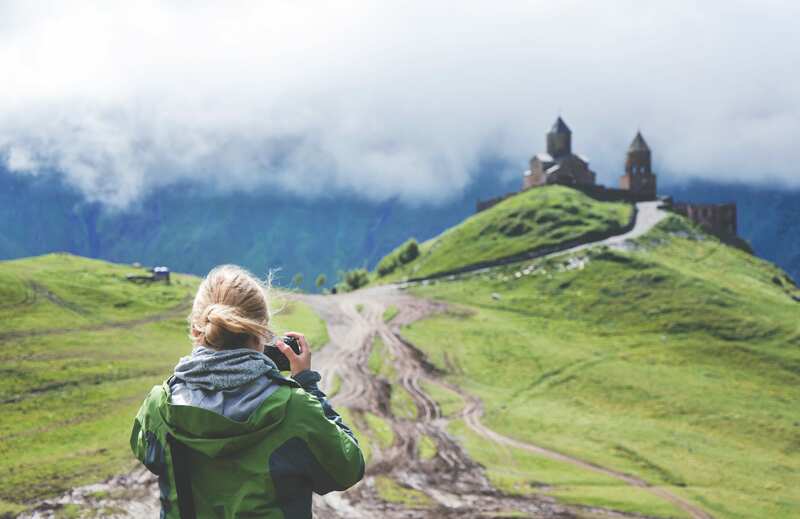 With a travel backpack, you’re the master of your own universe. No struggling to lift a heavy, awkward suitcase to jam it into an overhead compartment. Or desperately hoping some strong man behind you in line will lend a helping hand. I’ve been there. 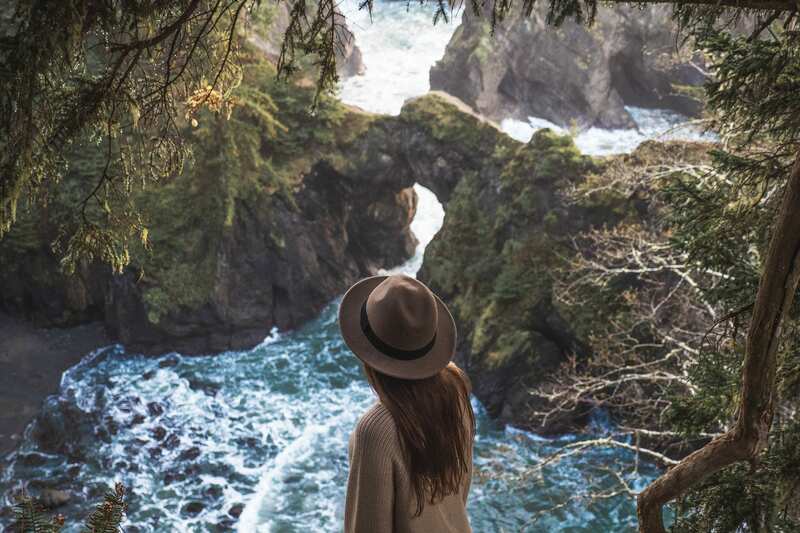 When you’re a woman, safe travel means being agile, quick on your feet, and knowing your escape options. Traveling with a backpack instead of an awkward rolling suitcase means you take the stairs or slip through a gap in the crowd. In other words: light on your feet. No help needed from a stranger, kind eyes or not. 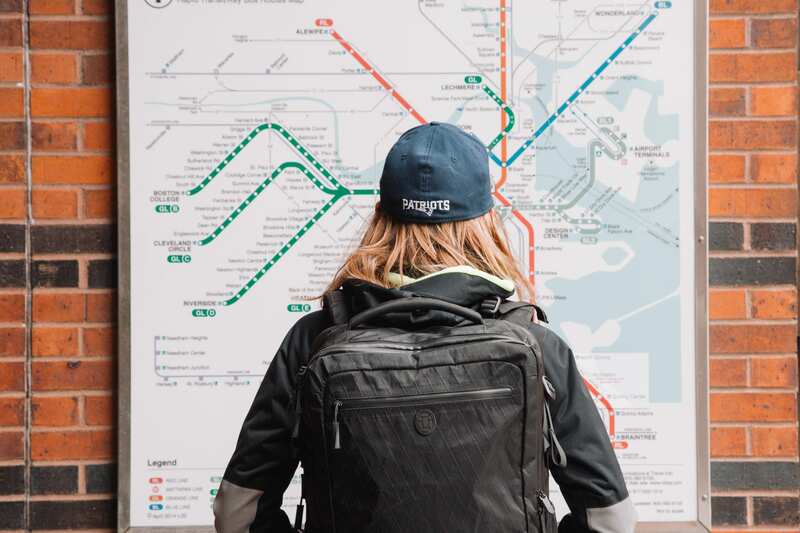 What do you need to look for in a travel backpack? 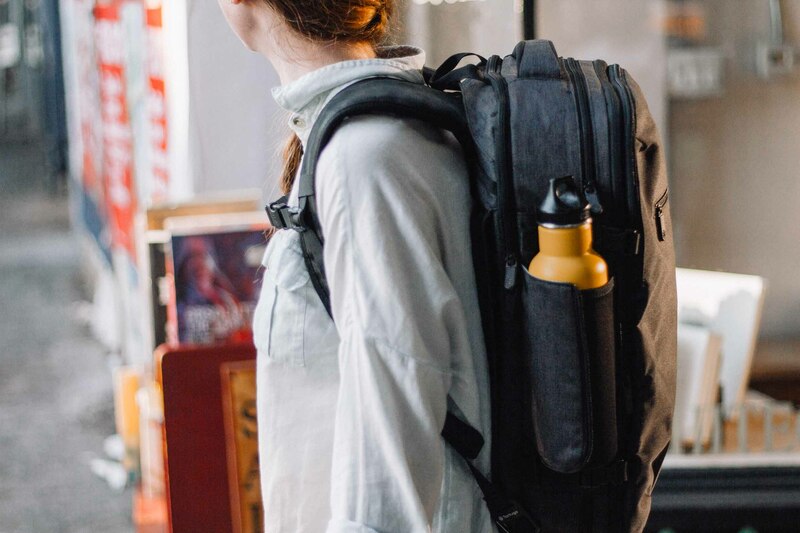 I love the Tortuga Setout Divide backpack as it’s big enough to carry everything I need. But not so big that it’s super heavy and makes me stumble under its weight. When you’re out on your daily adventures, be smart in your daypack choice. Imagine what type of activities you’ll do at your destination. Know what the culture’s dress code is (i.e. long pants and sleeves inside of a mosque) and the general style sense. Can be carried in front of your body vs slung over a shoulder with the open top towards your back — ripe pickin’ for thieving fingers! 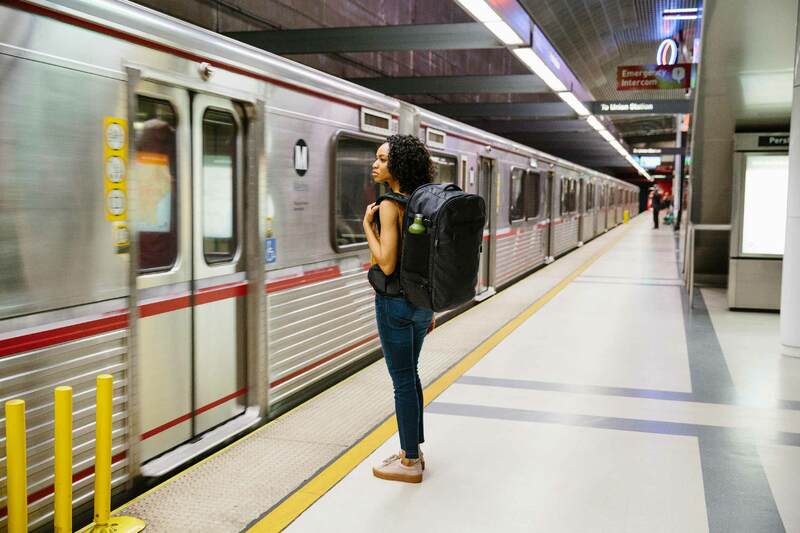 If you’re worried about weight and space in your travel backpack, choose something lightweight and packable, like the Setout Packable Daypack. If you’re carrying computer and need a little more space for extra clothes or gear, the Setout Laptop Backpack is perfect. 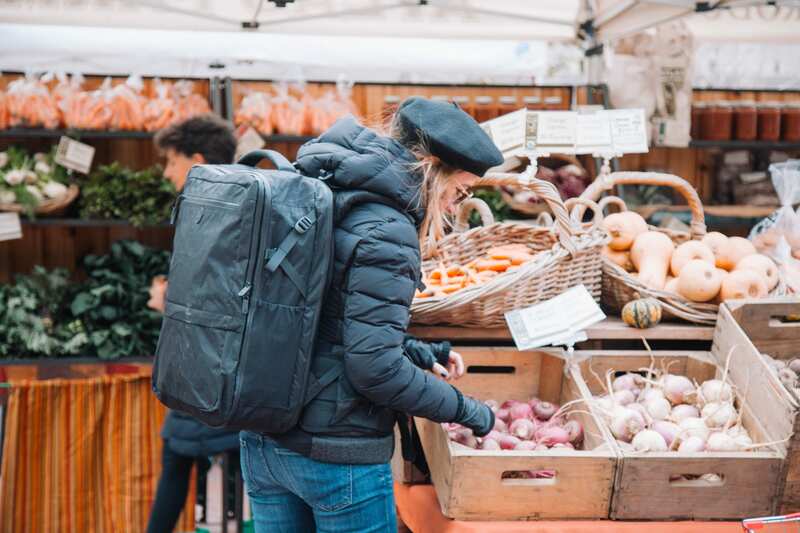 If you’re headed to the beach or are worried about a rainshower and want to make sure your stuff stays dry, the Outbreaker Daypack is made of waterproof sailcloth and lays flat in your luggage. Sometimes I carry a cross body purse, but when I’m traveling, a backpack gives me extra room and has two straps instead of one to discourage purse slashers. Making a backpack a safer travel option. Hey, I sure don’t feel like chasing down a purse thief, do you? Use Google Maps to your advantage. Star your important locations — like: your Airbnb or hotel, hospital, and embassy — in each new city. Then you’ll be able to quickly pull up directions without fumbling or becoming too distracted by your phone, which may make you stand out as a tourist… and a target. C’mon, ladies, leave the glittery diamonds at home. I know — I love mine just as much as you do. But the thieves do, too. Not to mention flashing all that ice sends off the signal that you got money to burn, baby. Which is exactly the opposite of the message you want to be sending when you’re traveling solo. In this scenario, you want to blend in (see below) and not catch a criminal’s eye. ‘Cause that’s how you stay safe. Criminals are looking for easy and obvious targets and traveling gals are not usually able to hang around to do much more than file a police report, so we’re an obvious target for the opportunistic. Best way to avoid sticking out? Make an effort to blend in. 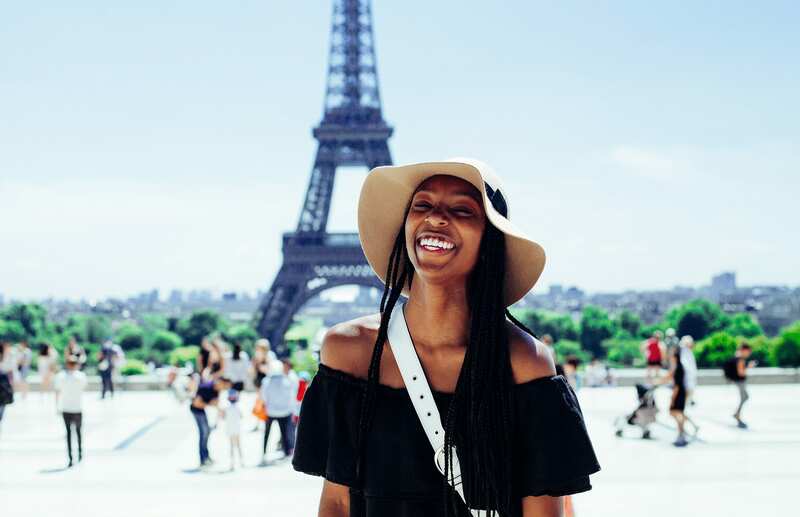 How do you blend in when you’re traveling solo as a woman? Start with your wardrobe: hink about your destination’s style and culture, views on women, and wardrobe. Then: pack accordingly so you fit in. For example, when you’re in Europe, blending in means nice slacks, leather shoes, black backpack or leather crossbody bag. You want to look put-together and polished. If you wear American gym wear or yoga gear 24/7, you’ll stick out like a glaring red beacon. I admit it: sometimes I pick a wrestling match with my husband just to test my strength against his. He’s much, much stronger than I am. So this match gives me a safe space to explore what it feels like when someone bigger tries to muscle me into doing something. Usually, this wrestling match evolves into a training session where he teaches me how to escape a choke hold, throw a punch, or disarm my opponent with an eye or throat jab. Will I ever need to use those moves on my solo trips? Not likely, and I hope not. However, having those moves gives me security. If you don’t know how a close combat or a fight feels, before you leave on your trip, take a self-defence class. If you’re feeling scared and vulnerable, chances are good that you’ll draw negative events into your life. Simply by projecting those emotions. How do you get past that? By faking confidence through your body movements. Here’s what I mean: your brain takes its cues from your body. The way your body moves, affects what your brain believes as truth. This is why interview experts recommend doing a superman pose before a big meeting. The pose makes you feel powerful, taking up space in a big way. Swipe this tactic the next time you’re feeling nervous or scared walking down the street in a new city. How would you walk if you felt confident? Or if you were Daenerys on Game of Thrones with 3 dragons at your back? Head up, shoulders back, eyes forward. Walk that way. The confident feeling will follow. This final travel safety tip is to trust yourself. 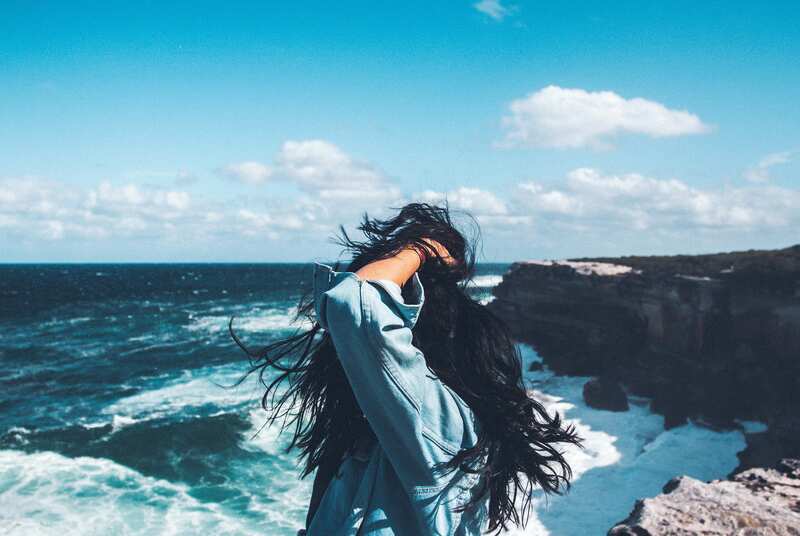 Our intuition — especially as women — is a finely-honed instrument. That guy you just met seems nice enough but something’s off and you can’t quite put your finger on it? Trust your gut. Keep your guard up. A restaurant seems like a great place to eat… but you’re not totally sold on it? Skip it. Trust yourself.